Competitors will be housed on M/V Plancius for the duration of The Last Desert. M/V Plancius was originally built in 1976 as an oceanographic research vessel for the Royal Dutch Navy, a duty which it carried out for 28 years until 2004. It was then refurbished into a 114-passenger expedition ship. 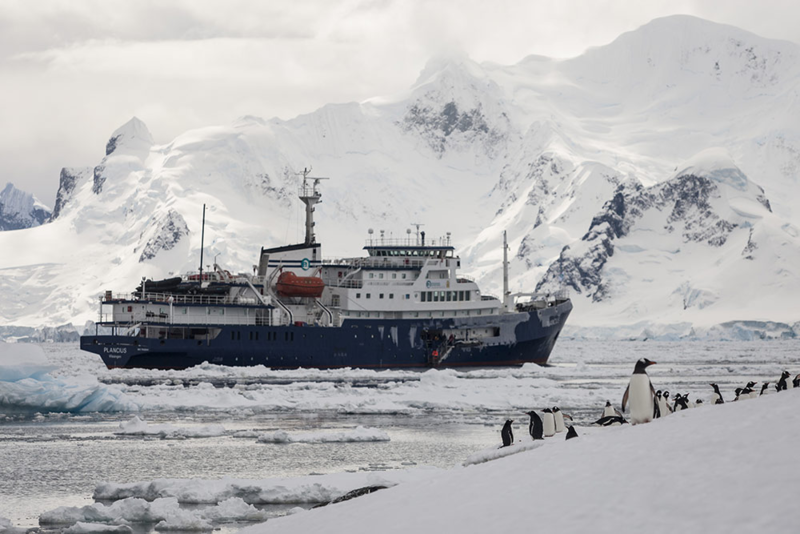 The 89 meter / 293 foot ship was built for ice conditions to be able to easily manage the harsh conditions the Antarctic offers - to reach these ice conditions she has a strengthened bow and stern. The hull is thicker and the whole construction on the waterline of the vessel is reinforced by using extra frames. A team of 4 Deserts Race Series staff will be managing the race. The team includes Founder Mary Gadams, who will be visiting Antarctica for her ninth time, event management team members, course director, medical team, and an official photographer. In addition to the 4 Deserts Race Series management team there is also team of Antarctica experts led by an Expedition Leader. Other experts include guides that manage the course, safety, and drive the zodiac boats to get to shore. The experts on board will lecture on different aspects of Antarctic history, flora and fauna, and climate, as well as other topics. The bios of the expedition crew will be added soon.